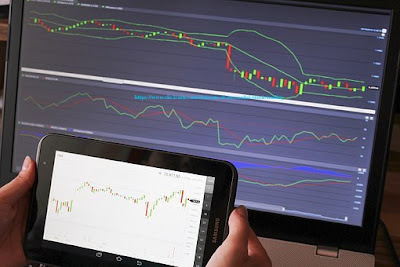 Trading the stock or commodities markets provides an opportunity for ordinary people to accumulate extraordinary wealth.Trading is not difficult to learn and many consider this to be the ultimate home business. Trading is a business that allows you to take control of your financial well being. However, if you are going to be a trader of stocks or commodities the following elements are essential to your success. Mastering these elements will not ensure your success, because there are other factors that influence markets that cannot be covered in this article, but if you don’t master these elements you will ensure failure. The “trend is your friend" is an old trading expression that’s been around for generations, and is as true today as in past years. The laws of physics states that a body in motion stays in motion, in the same direction.This also holds true for market trends. Market trends keep moving in the same direction until they stop and reverse themselves. So, if the trend is up, you want to be "long" the markets to profit from the trend. Many traders and investors have trouble accepting the fact that the market will always do what it wants to do.If you are “long” the market you want it to go up, but, if the market decides it wants to go down...guess what will happen? That's right, the market will go down. This seems so obvious but many lose sight of this simple fact, and end up losing money. Then, they blame the market for their losses.